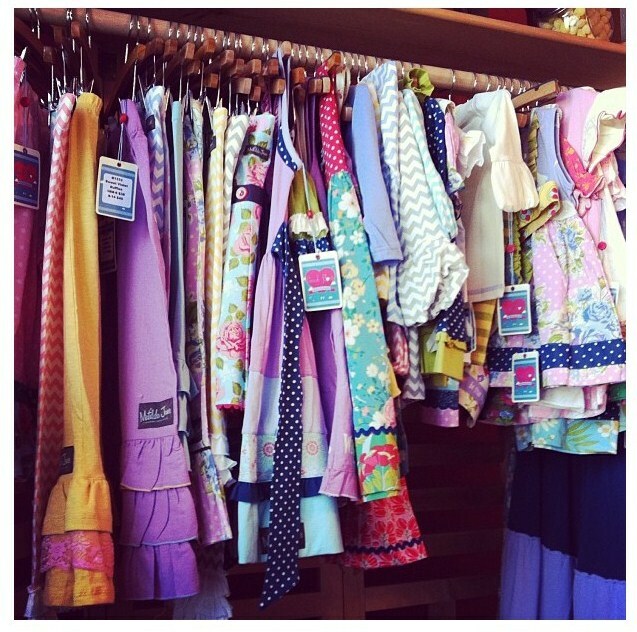 If you haven’t heard of Matilda Jane Clothing, well you are in for a treat! They have women’s clothing and children’s. They are very unique pieces. The first time I ever bought a dress for my daughter, I got her a knot dress, I didn’t think much of it. I bought one dress and that was that. Next thing I knew, every stinking time I put that dress on her, my husband would just love it and ask every single time…”Where did she get that dress? We need to get more clothing from there. ” So that is exactly what we did!!! I hosted a party and decided to have a play date along with it! Everyone had so much fun and those who were unable to attend said, “Oh I just love Matilda Jane, if you have another show, let me know! 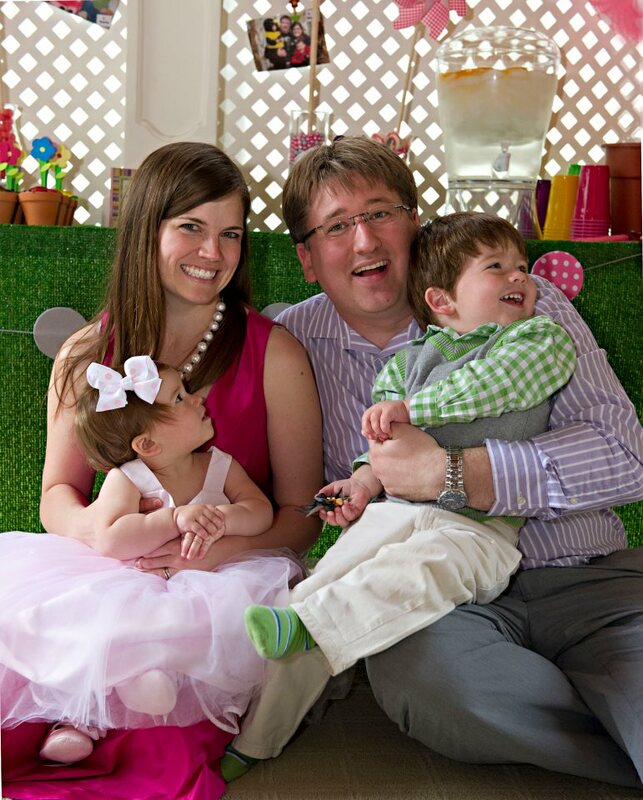 !” Since Matilda Jane has a different releases that come out I decided to have another party. This time, I decided it needed a theme…..St. Patrick’s Day of course!!! 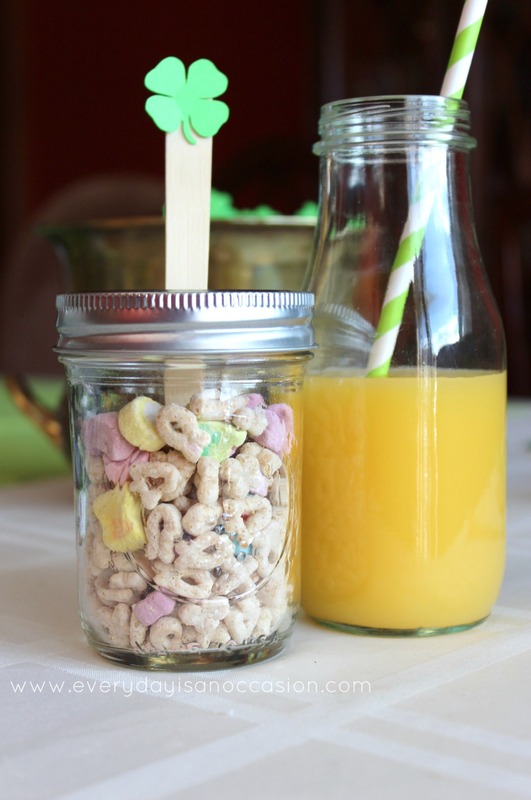 So here are the deets…..
Who doesn’t love lucky charms in a mason jar? For more details check out the post here. GREEN FRUIT SALAD with grapes, kiwi, and apples. For more details about the wands check out the post here. Yep you guessed it!!! Fruit loops on a string!!! Thanks to Eighteen25 for reminding me of this fun preschool kids activity. Luckily the leprechaun dropped these off!! 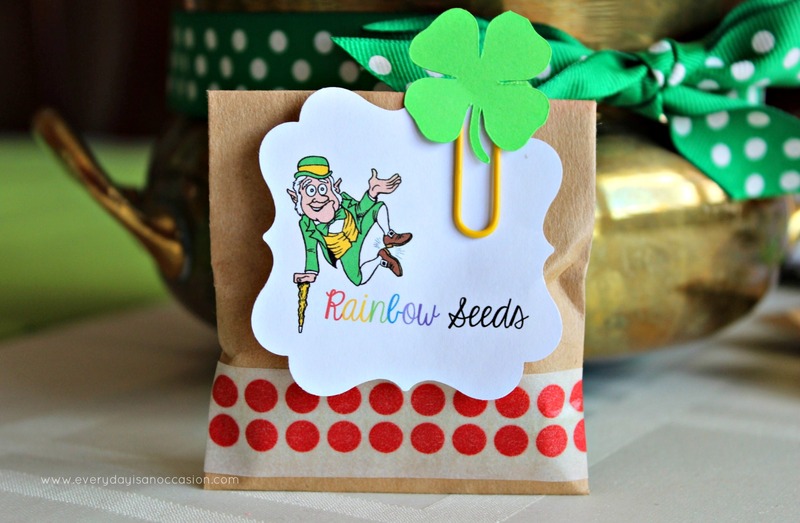 For more info about these rainbow seeds check out the post here. But I must say that it was such a fun fun show because we have THE. BEST. TRUNK KEEPER, Nicole!!! Our trunk keeper is A-MAZING at putting the clothing together and also helping you narrow down the pieces or help you to remember what you already have and what pieces go well with it!! Here are the goods I got!!!! 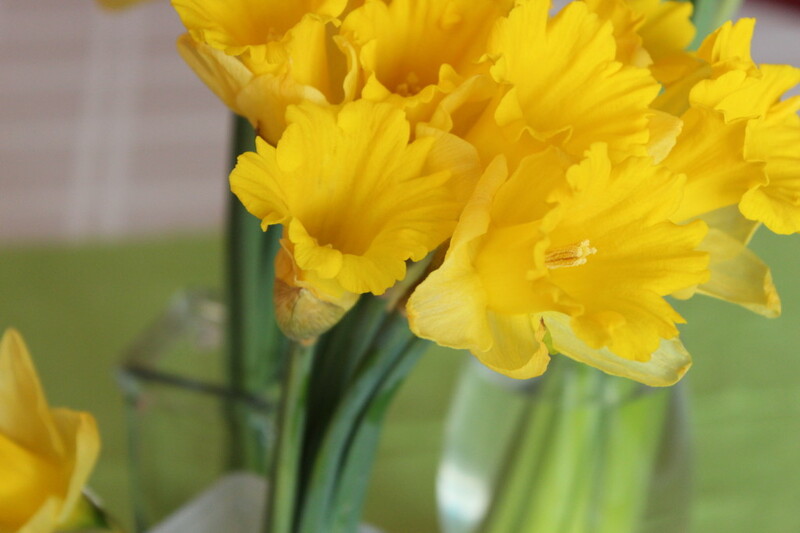 This entry was posted in Holidays, Uncategorized and tagged every day is an occasion, Everyday is an occasion, Matilda Jane, St. Patrick's Day. The Fruit Loops on a string brings back memories! 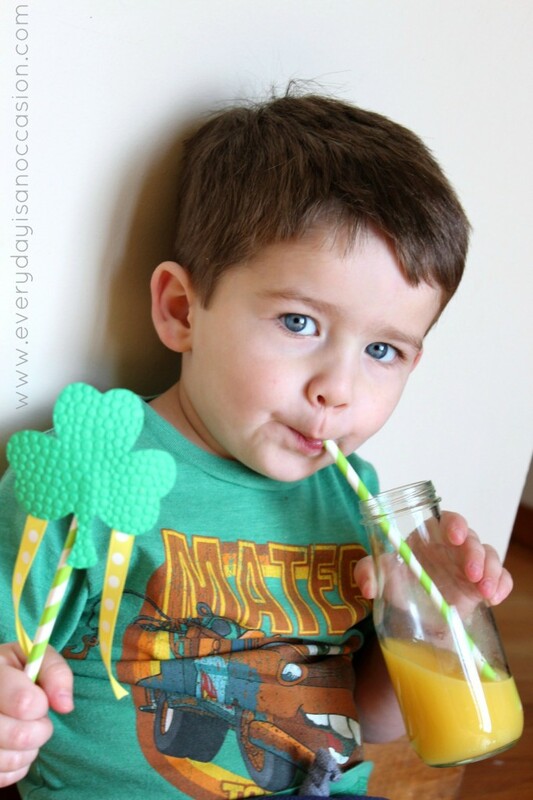 Fab St. Patty’s Day projects!